Going behind the scenes and getting to know what makes a cuisine special is what we aim to expose with Authentic Food Quest. Cambodian food was a bit of mystery at the beginning. After spending exploring the local flavors in Phnom Penh and Siem Reap, we discovered a country with unique flavors and a distinctive food culture. Our article 10 surprising facts you need to know about the food in Cambodia goes into more details. 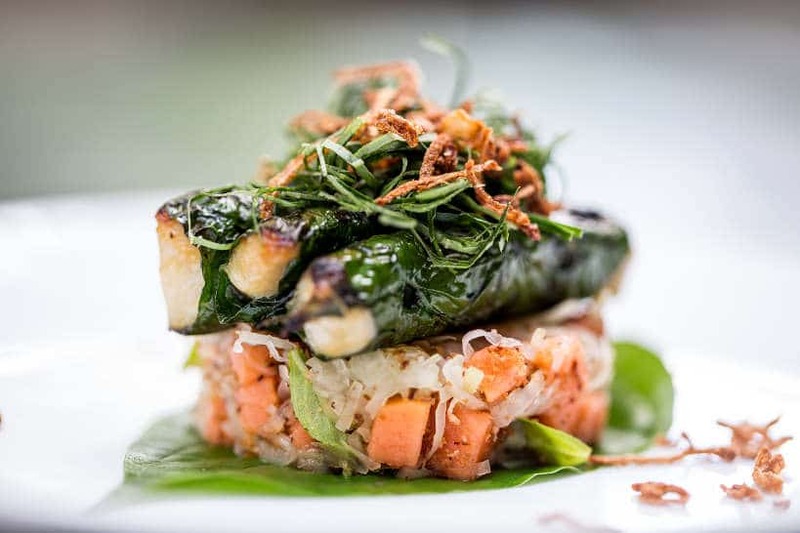 One of the top restaurants in Cambodia is Cuisine Wat Damnak. 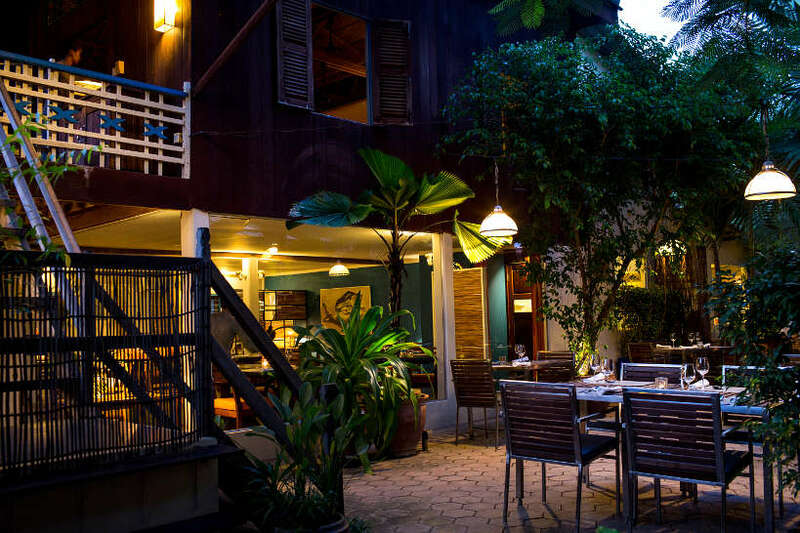 The restaurants specializes in authentic Cambodian cuisine with creative French culinary techniques. 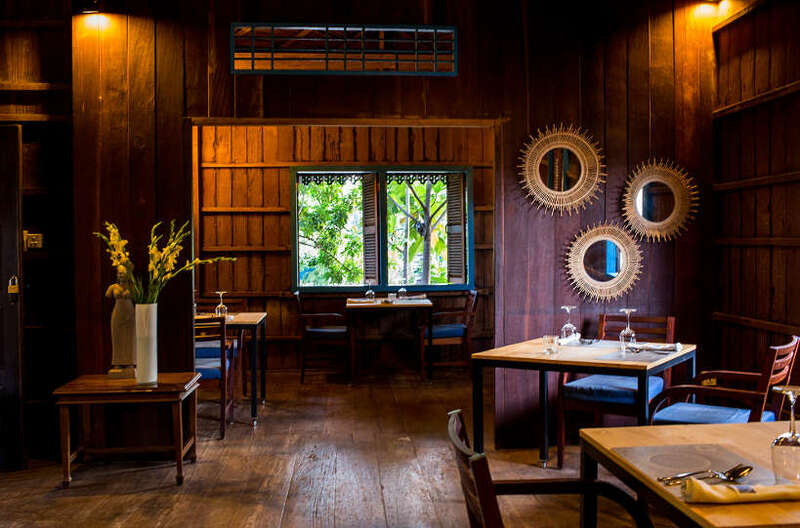 In addition, Cuisine Wat Damnak, in Siem Reap is the first Cambodian restaurant to be listed in the prestigious Asia’s 50 Best Restaurants in 2016. Eating the creatively prepared traditional Cambodian flavors, at Cuisine Wat Damnak was one of the culinary highlights during our stay in Siem Reap. We got a deeper appreciation of the local ingredients in unusual and delicious combinations. Read more about our experience at the best Siem Reap restaurant here. 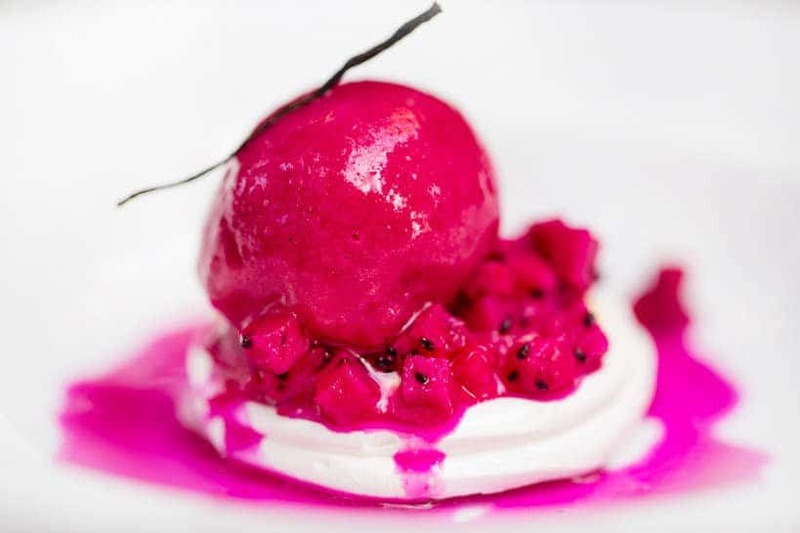 In this article, we interview Joannès Rivière, the chef behind Cuisine Wat Damnak. He shares his thoughts on what makes Cambodian food rich and unique. The interview ends with his personal list of local and authentic dishes not to miss on your visit to Cambodia. Let’s go behind the scenes on a culinary journey through Cambodia with chef Joannès Rivière! #1- What Attracted You to Cambodia? #2- What Do You Find the Most Fascinating About Cambodian? #3- What Would You Say Is the Difference Between Khmer Cuisine and Cambodian Cuisine? #4- How Would You Describe the Cuisine/Food at Cuisine Wat Damnak? #5- Top Five Local Specialties Visitors to Cambodia or Siem Reap Should Try? My father and his brother lived in Cambodia in the early 1970s so I grew up hearing about Cambodia. Not really about the food, but more about the unique and strange atmosphere at this time. The people, the culture, and the war were recurring topics that fascinated me growing up. Of course, when I found a volunteer position 14 years ago and after 2 really hard working years in the US, I jumped on the opportunity. Probably its complexity within its simplicity. The simplicity of recipes and preparations, because most Cambodian cuisine is very rustic and not very different from one province to another. The complexity of the ingredients and combinations. Cambodia is still very rural and therefore we have access to an amazing collections of vegetables, herbs, fruits or fishes that most of our neighboring countries such as Thailand or Vietnam no longer use or value. Cambodia is the country and therefore encompasses the ethnic majority, the Khmers, along with the Chinese, the Lao, the Cham, the Viet, the Samre, the Jarai… Cambodian food is a mix of all those cuisines. Khmer cuisine relates to a specific group without the capital idea of the influence of other groups. Where does it start? When does it stop? It is hard to say and I do not think it is very relevant. It has actually become a politicized term that I find unsound and I’d rather like to stay away. It is a little bit like talking about Latin cuisine in Italy or Gallic food in France. I had a really good remark from a Cambodian customer one day: “it tastes like Cambodian food but it is not Cambodian food.” I think it is actually a very nice compliment. While not everyone might agree, these five dishes my personal recommendations. This is light coconut and fish curry with Cambodian rice noodles and a lot of crudités. Available in markets for breakfast or all day long in Pradak village within the Temple area. This is a fish and vegetable stew thickened with toasted rice, probably the Cambodian national dish. This one needs to accompanied with a lot of beer: Grilled beef with prahok sauce. Genuine drinking food, in front of Wat Damnak pagoda. 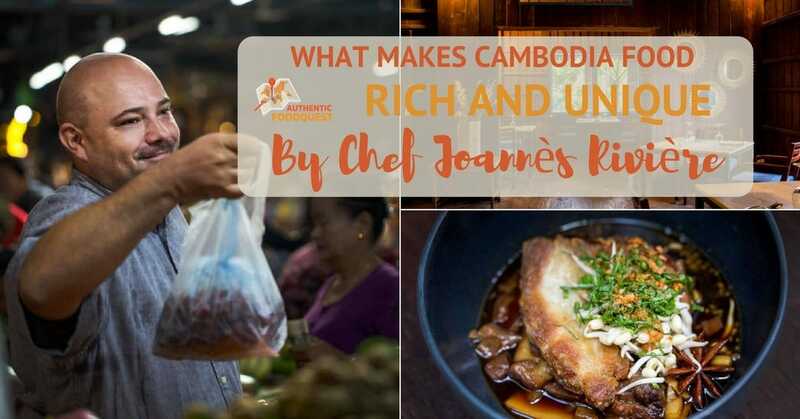 While not well known, diving into the rich history of Cambodian food with chef Rivière, provides a richer understanding of this simple and yet complex cuisine. Understanding the cultural influences that shape the local flavors, helps deepen your appreciation for the cuisine, people and culture. While dining at Cuisine Wat Damnak, the menu was heavily fish oriented, one of the characteristics of Cambodian food. Fish is the popular source of protein and you will find it eaten in all forms. From freshwater fish, to fish paste (prahok) to dry fish, smoked fish and more. As such, it is not surprising that the local Cambodian food recommended by chef Joannès Rivière is fish based. On your travels to Cambodia, leave your expectations of the food behind. Come with an open mind and discover the local flavors at the markets, on the streets, and at the restaurants. You’ll be delighted to discover the unique tastes and flavors of Cambodian food. Address: Wat Damnak, Market Street, Siem Reap. Check here for directions. 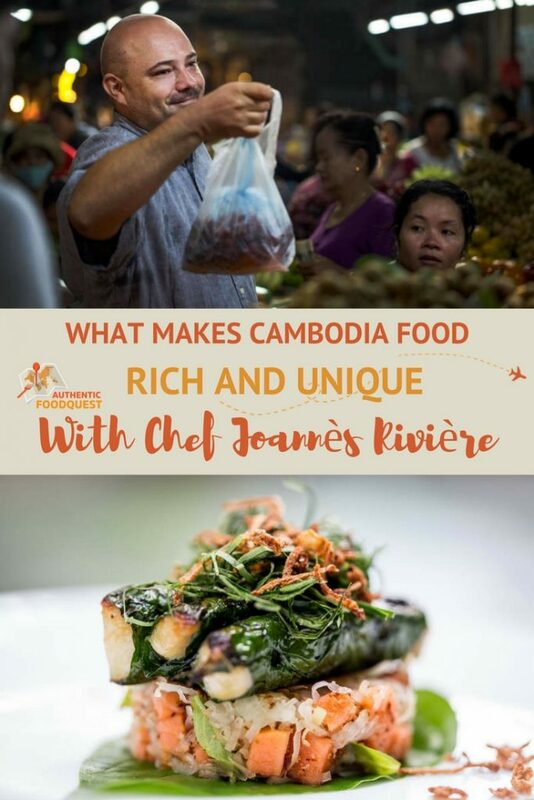 For more about Cambodian Food and Cooking, check out chef Joannès Rivière book: Cambodian Cooking filled with more than 6o authentic recipes. 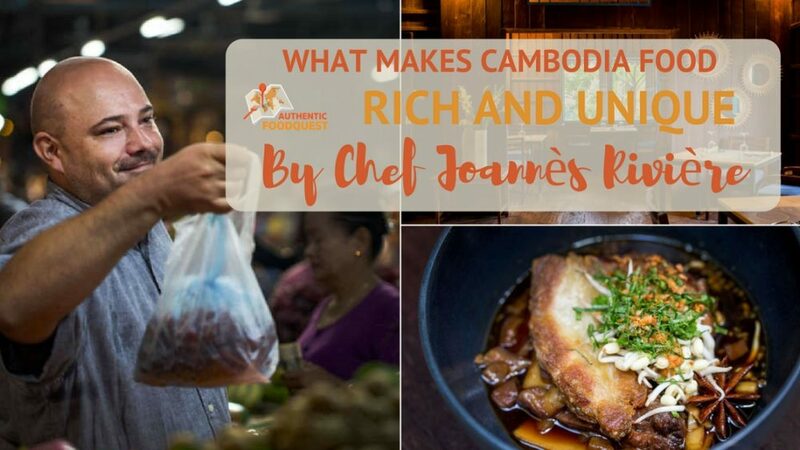 What surprised you the most about Cambodian Food in this interview with chef Joannès Rivière? Please share your comments below. That’s wonderful to hear Amit. Thank you. Did you know about Cuisine Wat Damnak? Indeed, little known, but tasty food in Cambodia. Thanks for stopping by. We visited Siem Reap in January and had some great dining experiences there! This is a great in depth article on the cuisine! Thanks for this informative article. I live in Lithuania and we actually don’t have even a Cambodian restaurant here. 🙂 Your article made me very interested in it though, so I’ll try to try it next time in London, because no trip to Cambodia is anywhere in sight . That’s a bummer you don’t have Cambodian food in Lithuania. It is worth seeking it out. Look for it in London and please come back and let us know what you discovered. Thanks for stopping by Ana. Nice idea on putting the spotlight on Cambodian food. Never been to Cambodia myself but there are two great Cambodian restaurants where I live in Ottawa and the food tastes great. I imagine just how amazing it will be to eat authentic ones in Cambodia straight from the locals. That’s awesome to hear that you have two great Cambodian restaurants in Ottawa. If you haven’t been, you’ve got to go. The food is amazing and needs to be experienced. You are right, eating in the local food in the country of origin is a unique experience! Cheers. I LOVE this post! I’ve never tried Cambodian food but now I really want to, especially since I enjoy eating fish, and I’m glad I know a little more about it. Great post, Rosemary! So happy to read that you are intrigued and ready to give fish a second chance. We believe that when you explore the local flavors on your travels, you discover or rediscover new tastes. With the local herbs and vegetables, dishes come to life in a new way. 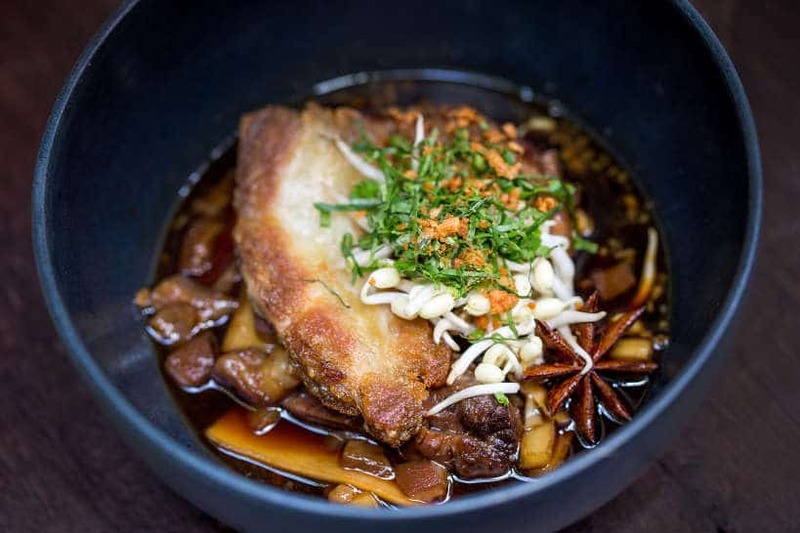 You’re right, Cuisine Wat Damnak has the perfect blend of local and modern furnishings. Hope you can make it to Cambodia soon. Appreciate your feedback, Patricia! WOW I knew absolutely NOTHING about Cambodian food so this was interesting to read. And now I’m hungry haha. Love the photos you chose as well, they are so colorful! That’s wonderful Sarah that you are now totally intrigued by Cambodian food. It is not well known, but quite delicious. If they have a restaurant in your area, give it a try. Glad you enjoyed the article!! Thanks for sharing. These were some yummy looking dishes. I’ve never tried Cambodian food, but this was definitely a great place to start my interest. Thanks Kellyn and glad you enjoyed the article. Cambodian food is worth seeking out, and Cuisine Wat Danmark is an experience! Hope you get to try it soon. Cheers! Glad you enjoyed reading the article, Ryan. 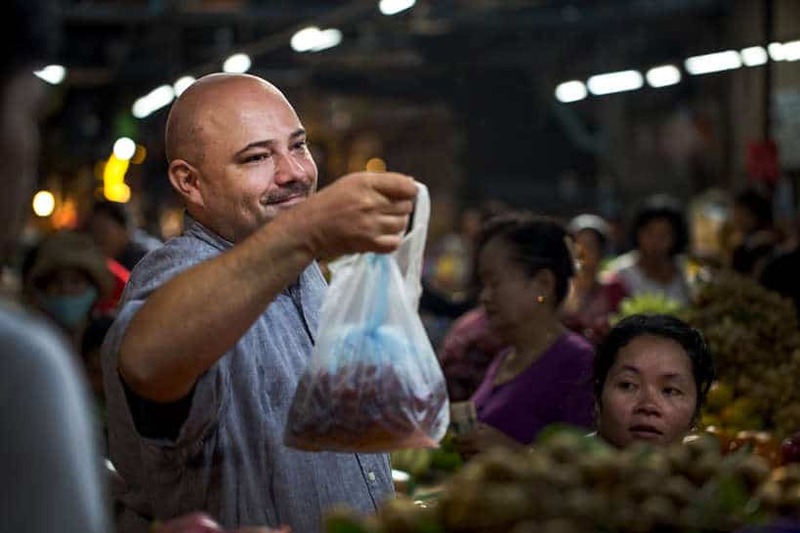 We agree 100%, chefs who go out and pick their food at the local markets are the best. If you make it to Cambodia, you’ve got to try the end result at Cuisine Wat Damnak. Absolutely incredible!!! 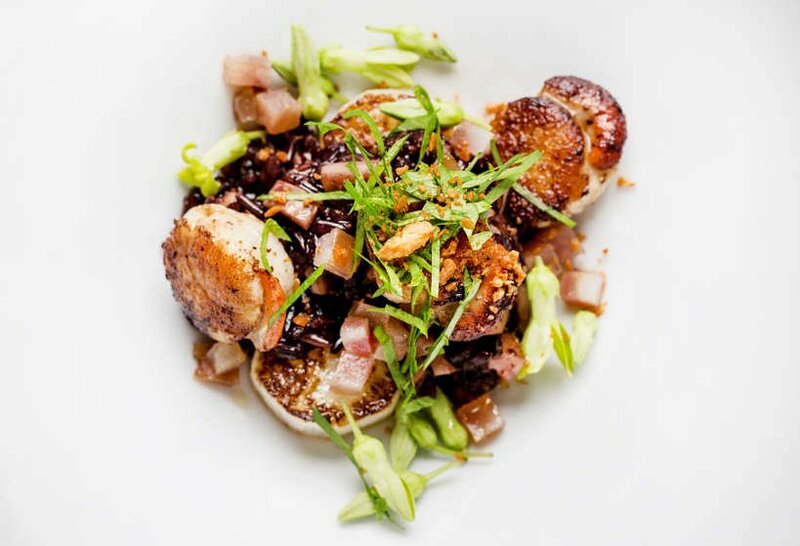 Everything sounds delicious – people tend to focus more on Thai food but Cambodian food sounds like the one to try, that black sticky rice with scallops looks divine! You are right Claire, Thai food is much more well known and we hope to bring awareness to the unique cuisine of Cambodia. Agreed, the black sticky rice and scallops is amazing!! Thanks for stopping by. Love your approach to getting the Chefs point of view on Cambodian cuisine. Clearly I missed out on tasting and learning about the complexity and cultural fusion of all the nationalities. Excellent pictures, that restaurant is a must go! Thanks so much Dorene. To better understand the local cuisine, going directly to the people behind the food offers the most authentic perspective. So glad you enjoyed the article!! Cheers. You are most welcome Susan. Cambodian cuisine is not well known, yet it is quite delicious. The food culture is fascinating and the dishes particularly tasty. Hope you get a chance to visit Cambodia in the near future. You will not be disappointed!! Thanks for stopping by. What a great interview! That food looks fantastic. I’ve never had any Cambodian food, not even a foreign knock off, so this all looks enticing. I enjoy the use a lot of fish and veggies, since I am a pescatarian. Will definitely visit if I am ever in the area. Awesome Susanna, so glad you enjoyed reading the interview. A great guy and very talented chef. The food in Cambodia is worth exploring and you’ll love all the local fresh fish and seafood. Thanks for stopping by. I wish I had known about Cuisine Wat Damnak when I was in Siem Reap, an excuse to visit Cambodia again! I must say that I really loved the food there and it was a nice break from Vietnamese food. As you say they are simple but complex flavours. You’ve really highlighted how lovely and vibrant the Cambodian food is :). This is a very interesting interview. I always love entering the minds of those who create food. I love the decor Cuisine Wat Damnak. Sach Ko Han Teuk Prahok with a lot of beer sounds perfect for me. I LOVE fusion food (if it’s done well) and it certainly looks like the food is done well from your pictures! I often have Cambodian food but not fusion style like this. The Black Sticky Rice with scallops? I’m SOLD! Really want to try it – have to put this restaurant on my list to try the next time I visit! Thank so much Eve and glad to read that you already eat Cambodian food. Do you have any particular favorite dishes? Cuisine Wat Damnak is certainly not to be missed on your next trip to Siem Reap. The one thing to keep in mind is to book in advance. It gets booked months in advance 🙂 Indeed the black sticky rice with scallops is amazing!! Thanks for stopping by!